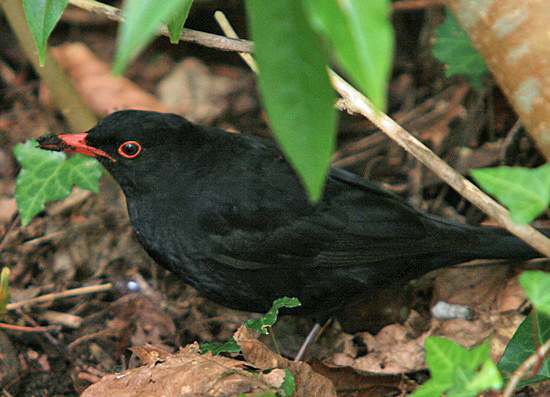 The Blackbird is very well known, and its cry when startled is one of the most easily identified of bird sounds. It is also one of the most versatile and melodious of all songbirds. The yellow-orange beak of the male and its glossy back plumage are very distinctive; the female is brownish - darker above and lighter below. 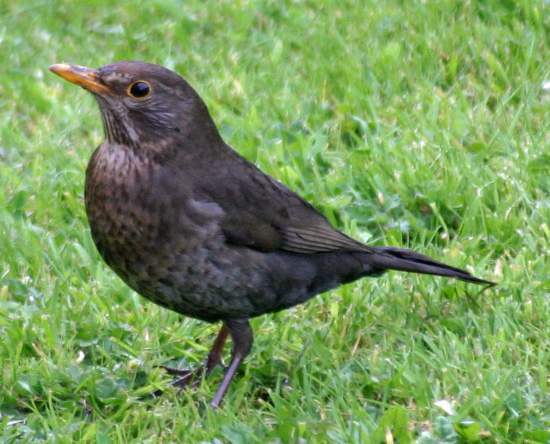 Blackbird habitat includes farmland, woodland, heath and urban areas, and they are a frequent visitor to gardens even in big cities. These resident birds are members of the thrush family and one of the most melodious of songsters.